Happy Friday!! With all that’s going on in the world, I’m especially grateful for the community here at Flash! Friday, and for the ability to spend a few precious moments on the joy of story. Thank you so much for taking the time to come and write with us. You are appreciated! DON’T FORGET!!! There are four days left to submit your entry to the Dog Days of Summer contest (with cash prizes! and a decadent 800 – 1,000 word window). Click here or on the pic of the boys in the sidebar for details and to enter. Today’s prompt was chosen in honor of the legendary Nadia Comaneci. On this day in 1976 she was the first gymnast to score a perfect 10 at the Olympics. Her story continues to inspire athletes around the world. Why not writers too! It’s with great pleasure I introduce today’s judge, three-time Flash! Friday winner Aria Glazki. She likes layered language, she says, and realistic characters with an intriguing premise. Read more here. Then spin a tale to win your own perfect 10.0! Awards Ceremony: Results will post Sunday. Noteworthy #SixtySeconds interviews with the previous week’s winner post Wednesdays. I (Rebekah, and I seriously hope some of you look at this weekly updated selfie) post my own unbalanced writings sometimes on Tuesdays or Thursdays. And the fabulous Dog Days contest is live now through Tuesday night at 11:59pm, Washington, DC time. Now, chalk up your hands and let’s get to it! Shiva. CC photo by Raphael Goetter. Like a clumsy finger that probes at an open sore, her words pelt against my eardrum, vibrating through the speakers at the back of the auditorium, accepting the accolades that are meant to be mine. Olympic gymnasts live a life of dedication, hard work, far from the public eye. Then, for seventeen days every fourth year, we become gods, basking in the glow of national adoration and attention. That day, three of us performed simultaneously before the judges. That day, I took a careful step forward into a tuck, lifting out of it like an eagle after a successful kill. Turning about-face, I prepared my signature cartwheel-handspring-dismount, when her foot caught mine. Just a brush, a mere fleck of skin on skin. But the world tilted, and I fell from my Olympic dream. Here she stands, her gold medal glinting on her chest as she breathes, smiles for the world. I turn my back, leaving what should have been mine. So sorry, I forgot to leave my word count. It’s 160 words. Thanks! This is so realistic – I can easily imagine this and see it all happening in front of me. Well done. Vivid imagery! I love the opening image, and the eagle after a kill line. Very well done. Poised on the beam, I try to clear my mind of everything but the performance. I have to know that I can fly, but I know the truth all too well. I know before I begin how this will end, and it will end badly..
My coach says I’m slow and awkward because it gets me attention.. He says this because he’s seen me move with so much native grace and speed that any failure must be manufactured. He treats me as if that’s the case, but he can’t understand. He’s the coach — he knows everything. How could he see beyond his ‘truth’? I know the real problem: Grace. She dogs my steps– always a thought away and a step behind and she’s catching up with me. I didn’t push her, she pushed herself- always wanting to be like me. Now- she is becoming me, and there is nothing I can do. How can you fight a ghost? “How can you fight a ghost?”- what a beautiful line! Great last line! A thought away and a step behind…nice word usage. Your dragonliness… could you please… get the in there for me… (or is it the ? )(Never format while tired when there are no take backs) Next time… I will bring chocolate. Done before you even asked. Now THAT’S love. That’s because you rock! ! (and it seems I need to remember that you can’t use the formatting in the reply because it eats them if it can’t use them… ) g’night. With closed eyes she thought back to childhood. Arms out, balancing. She would walk across anything with her friends in tow. Beams of wood. Walls. Coffee Tables. Her mom didn’t like that last one. She never felt clumsy in her body, never felt that odd physical transition from child to adult. Now? She opened her eyes. Below her a city spread out like a very detailed map. A blip showed up in her vision, traveling a languid path across the city. “Out for a stroll, eh?” Her voice was light and thoughtful. With the radio silenced, she looked down at the street below. She had a relaxing moment and now it was time for work. She said an invisibility word and jumped. She had a relaxing moment in the air and then got to work. This is cool! I like the transition from what was to what is. Oh, that opening paragraph captures how childhood felt sometimes – nice. The man cut through the alley to save himself some time. He didn’t have anything to do, not since his wife left him years ago, but the darkening, cold air gnawed at his skin. Light in the alley was dimming, but the man still noticed something lustrous on the charcoal pavement. It was an old photograph of two clumsy girls on a balance beam. He took in every detail of the picture. Their awkwardness was perfect. His wife had wanted children, girls especially, but he dissuaded her by saying “In time,” and “After the business stabilizes.” The stability came too late, and the children never came; she tired of waiting and left. Blackness engulfed the alley now, and the man stared hard at the photograph, trying to concentrate on the delicate figures. Several moments passed and he finally looked up at the cold, dark alleyway. It reminded him of many things, but most of all, it resembled his future. Lights flashed as she took her position. The audience silent, transfixed by her feet precariously balanced on the thin strip beneath her. This day had been coming, all her mentors and friends had promised her as much. The inevitable outcome, forged from her single-minded pursuit of that perfect state. Heart pounding, she raised her arms midway, taking in a breath. She was back in the old school gymnasium. The scent of talc, the complaint of equipment, Skye’s perfect ponytail bobbing to and fro in front. For years she followed in the wake of that hair, in the shadow of that girl. Well, where was perfect Skye now? Snapped back to reality she takes a step, then another. Maybe this time she’ll win. Then a treacherous foot betrays her, ensnaring the other. The harsh bite of tarmac as she hits the ground. Blue and red flashes across her vision as the officer stoops down, breathalyzer in hand. Loved this. Great descriptive writing and use of senses. Ending was fantastic. Well done. Oh, this is great – loved the ending, which of course forced me to go back and read it from the beginning, and to catch the nuances I had missed the first time around. Nicely done! I loved this! The ending is great! Wow, I love this! So many word layers. Beautifully written. Wow so tragic… well written. Oh, heart-breakingly sad. Some wonderful (and heart-wrenching) imagery here. I like how you use the same sentence again at the end. This really resonates. In her weakened and trembling hands, she can feel the weight and coldness of polished metal. She thought when she held the gun that she would feel the weight of its power, of liberation and redemption. She only feels exhaustion and attrition. “Put the gun down, princess,” he slurs. Princess? She thinks about the internal bruising, fissures of scar tissue and caldera cigar burns. The stifling air amplifies the sour reek of cheap bourbon. In his stupor, he is clumsy, but also unpredictable. Her free hand feels her emaciated torso ─ the price of two years of starvation saving money for the gun. She senses the growing heartbeat inside her distended stomach. Her only possession, her childhood gymnastics leotard, hides under the floorboards. She dreams her daughter will wear it. A sound. The splatter of colour. Only two heartbeats left in the room. Soon sterile blue lights will sweep this place. She waits. Now she feels the weight. The weight. Several things in this I really like. “A sound. The splatter of colour.” Exactly how a person would perceive it, after a hard life beats them into living in detachment. “Only two heartbeats left in the room.” Not a direct statement of motive, but enough that the reader understands. “Now she feels the weight. The weight.” A reference back to the title and the beginning, but also can be read as so much more. Thank you so much Charles. You are a true gent. Very kind – I really appreciate it. Agree with Charles… I see many layers of meaning in “weight” and “A sound. The splatter of colour.” Great language, creatively, perfectly describes the action. Thanks Todd. Loved your piece last week and the interview was great. This is haunting. I agree with Charles’ comments. The last line is so good with its double meanings. Thanks Margaret, very kind of you. I really appreciate it. The second time I broke my back I was thirteen. I remember lying on the gym floor with sweat sticking my skin to the mat. Shadows swarmed around me, cast by the ever-buzzing fluorescent lights. A jumble of voices cluttered the air like a cloud of gnats. Above the white noise, I heard my mother screaming my name. She caressed my face, the cool silver of her wedding ring lingering on my cheek like frosted dew on grass. With this awful curiosity in her eyes, she looked to my legs. My doctor joked that I should play the lottery. Not many could survive a back injury and walk out the hospital to tell the tale. One day after physical therapy, my parents argued in the kitchen. I heard my dad insist that I continue gymnastics because I was meant for greatness. Wiggling my toes to remind myself I still could, I wondered how heavy gold medals hung from Olympian necks. Lovely word play. I felt like I knew her well after two paragraphs. Vivid imagery – love the “voices…like a cloud of gnats.” And I agree with Tamara – I feel as if I know this girl and have such sympathy for her, and that after only 2 paragraphs. Then, Liz started falling. We let it slide for a while – distractions, or lack of focus. But when our rankings began dropping, Mr H took her aside. Her eyes found mine as he told her, but I blinked and looked away. As she grabbed her stuff and left, I felt, thick-fingered, like I’d dropped something precious. I keep wondering why she started falling… lack of interest? something medical? rebellion? And I like the fact that we don’t know. The last line is good, too. I too, went immediately to the reason she began falling. I thought, please someone check the poor girl’s eyes, or make sure she doesn’t have a brain tumor etc. I enjoyed the story. This is the perch from where my feet sing. My image sits in little glass cages mounted on living room walls across the globe. From nations of armchairs, I am gawked at between commercials and mouthfuls of chips. I am a chirpy little thing, bobbing up and down, performing neck-break defying feats. I attract attention from time to time- a flicker of interest, when I’ve turned a ‘double’ into a ‘triple’ or a ‘triple’ into a miracle. Or maybe I am at my most interesting, if I flap and fall to square, blue earth. I am tough. My aches are disguised by chemical solutions. I am strong. My pain is the product of temper tantrums- I am a child, after all. I am happy. My world is shiny, when I bring home the gold. I am success. I have been reared by Discipline. I am balanced. It is a fine line that you watch me walk. May I ask for some Dragon Magic and have the ‘of’ before ‘flicker’ taken out. Thank you very much. Happily. Especially since “flicker” is so very much a dragony word. Fantastic use of language. I LOVE the image of her feet singing. Little glass cages / nations of armchairs / triple into a miracle … just great imagery. Thanks, Margaret, for such positive feedback. Much appreciated. Balance has never been my strong suit. A few weeks of gymnastics was all my mother needed to realize that I was meant for more intellectual activities. As a child the only type of balance I practiced was walking on the curbs on the way to school. Never very long before I fell over. But, it was just a little game. An unnecessary passer of time. Now I find a whole other type of balance is required for adulthood, a balance I have yet to achieve. Somehow I need to balance my love life with my social life with my work life while having time to myself and getting fit and cleaning house and cooking and paying bills and doing errands and keeping appointments and the list is never-ending. In the end, I feel like a little girl again, hair disheveled, arms heavy, legs shaking, red-faced, clumsily falling off the balance beam. Locked in imperfect symmetry, I imagined score cards placed gently aside. The greater digits residing under paperwork. Greasy finger marks adhering to the few remaining, whilst judges decided which low number to award. You have to understand, it was on purpose. My choice, my burden – despite what the papers said. My parents wanted the best for me, is that wrong? I can’t blame them. Yes, they pushed me, but I pushed myself. My arrogance was undeniable – as witnesses attested. That too masks a simple truth. I was the better one. More than anything I’m sorry for her. If I could take it back, I’d do it for her sake. I know how it’s scarred her. Seeing your partner deliberately fall rather than fail will do that. Did I know it would cripple me? Would it have changed anything if I had? The truth is, despite this wheelchair I’ve never felt more free…except when I was falling. Imperfect symmetry…nice word play. This is powerful to think about. The conspicuous glow from two iPhones revealed their position on the wooden bleachers in this dimly lit gymnasium in Nowhere, Wisconsin. They still believed. Being seventeen and marginally talented, I would occasionally place in the top ten in random competitions across the Midwest. We’ve been on the circuit for a decade and my parents still believed I could make it to the Pan American games or maybe the Olympics. They had dreams of gold medals being forged from their perseverance and dedication. All I wanted was to quit traveling and make new friends, maybe fall in love, enroll in college. Be something besides a teenager wearing a snug leotard that drew lustful stares from the married men stationed throughout the hormonal gym. I balanced myself on the beam and waved to my parents. Mouthed a silent apology. I’m not a clumsy girl but today I will fall awkwardly on the dismount, hoping I fracture my ankle. My betrayal obscured. Undetected. I was so proud of Jessica. She had trained hard and this was her moment to shine. As she danced on the balance beam I allowed myself a little smile. I ignored him and continued to watch my little angel as she rounded off her routine. Her tiny body twisted with grace in the air and she landed with perfection. She posed and the crowd applauded. I joined them. There was a snap and pain erupted from my chest. “Fool,” said the Bulgarian. He got up and left. Mafia be damned, I could not teach failure to my child. The laughter built, a wall of humiliation. ‘No. I’m off.’ Margot started twisting. But it was too late. This time it was different. Margot spun and walked away. The crowd gasped. Tears pricked Angela’s eyes as she stared at the horror struck faces. Slowly she bowed and shuffled off the stage; her lover had gone and her career as the back end of a pantomime horse was in tatters. I’d heard of such things happening on other ships, but I’d never thought those rumours would become my reality. ‘Up you go, boy,’ I’d said to our newest recruit one evening. ‘Twas at that moment, the sea and me ship conspired with irony. The lad landed on his back, and I landed on the lad. I’d always prided myself on me observational skills – you don’t stay a pirate captain long unless you keep a weather eye on your shipmates – so when my landing was … softer than expected, I was somewhat vexed, both with myself, and, son, with the woman who later became your mother. Great imagination (getting something so different from the clumsy and photo prompts) – can’t beat a good pirate story. Thanks, Mark. 🙂 I do love a pirate story. There is a lightness I never knew, but craved so desperately that I was willing to fold myself up under the practice beam, a tiny, awkward accordion, for two hundred crunches and submit to laying on my back, legs wide while the coach pressed down, looking away, telling another girl that’s the stuff, keep it up, while trying to wrestle my hamstrings into a split. The coach said I was okay on the vault. Could run pretty fast. Didn’t need too much grace going over the horse. Got to learn to stick that landing, though. I would nod like a dog wagging its tail, blinking back hot tears, nervous to touch my face with chalky palms. Put me on the uneven bars, coach. Put me on the high beam. I wanted to float. I wanted pointed toes and delicate wrists. I wanted to be liquid. Molten. Beautiful story. ” I wanted hollow bones” What an exquisite line. Gorgeous language. I love “tiny, awkward accordion” and “hollow bones.” Very poetic! Melanie was a strange creature or at least that was what her older sister Betty thought. Nothing was ever enough for Melanie, she always wanted more. Not even the numerous gold medals seemed to appease her sister’s thirst and sometimes Betty wondered if Melanie would ever be satisfied with her lot in life. They’d been performing gymnastics ever since they could walk and while Betty knew that they all had potential Melanie seemed to always surpass them. Even now as they performed in front of millions Melanie seemed to shine brighter than the stadium lights but Betty could still hear her muttering under her breath about the other girls’ clumsiness. After all Melanie would never be a star if she wasn’t seen and like Melanie always said all she needed was a little push. So that’s what Betty did…she pushed. The stadium was silent for a moment before the first scream erupted and Betty wondered if Melanie was happy now. Ooh, that is some complex family dynamics going on there. We were friends, a balance of opposites. That summer, I got poison ivy. She dived off the deep end of the pool. People remember tall, blond Abby. She was already beautiful, even then. I was Emma, the clumsy one. They all said I’d grow out of it. We were friends, I don’t know why. Did she need me to applaud her exploits? She made everything look so easy. And yet, I was jealous of her grace. In high school, boys would write clumsy poems for her, praising her eyes, her face. I could see it so clearly, that day at the pool. She was flirting with the boys, showing off. “Come on, Emma,” she said, “Let’s jump together!” We stood at the diving board. Then Abby slipped, an awkward step. She was going to take a bad fall. I reached out my hand and grabbed her. “You saved my life!” she laughed, so easy. But I saved myself from falling. There is so much here. Almost like a lifetime in one simple moment. Love the myriad interpretations one can infuse into that last, powerful line. One deep breath filled my lungs. In through the nose, out through the mouth, just like I had practiced countless times before. Two steps on the beam before liftoff. My toes curled around the edges of the beam, my chalked feet holding me steady. Three judges sat on the panel. One was incessantly clicking her pen. Four feet left on the beam for my flip. Five seconds on the timer. It was more than enough time. Six feet I catapulted through the air towards the landing. My feet found the mat and stuck firm. I raised my arms in the air, striking my final pose. Seven months ago I missed the landing. A clumsy mistake. No one had clapped then, just gasped. They were cheering now. Eight million times I have dreamed about redeeming myself from that tarnishing blemish in my career. Nine years it felt like the judges took to show me my scores. I enjoyed how you used the numbers at the beginning of each line, building up to the tens. Nice touch. Thank you! I was inspired by William Goss’s story last week, “Touched By A Hot Reminding Breeze,” and thought it might work for this one. Thanks for reading! Love the form of these piece. Nicely done. She straddled the mounting beam, muscles tensed. Everyone stood watching her; she could feel their gaze shriveling her soul. Nobody expected her to be here. They all knew she was clumsy, shy, afraid of heights. Nobody understood why she had decided to try out for school gymnastics. Getting to her feet, she felt her body shake as fear took over. But she stayed where she was. Marcie would have wanted her to. Closing her eyes, she replayed their last conversation in her mind. “Are you afraid, Marcie?” she had asked tearfully, watching the doctors hustle around the hospital bed. So here she stood, heart pounding, ready to chase after her dream because Marcie had believed. Made me want to call my sister! Nice job, Hannah! Caty was my shadow from the moment she could walk. Everything I did, she did, not as graceful, but little sisters never are. She was loyal, though. When Caty chipped her tooth imitating my flip on the monkey bars, she never told anyone how I’d egged her on by saying that her little legs weren’t as strong as mine. She was a Cowboys fan, because I was. She gladly played Skipper to my Barbie. She followed me to my college as a freshman my senior year. She followed me once again, down the aisle as my maid-of-honor while I walked out of the church on the arm of my new husband. I nodded at Caty before I tossed the bouquet directly to her. She stepped aside gracefully and let it drop. It was okay. We were moving in different directions, but I didn’t need a follower anymore; only what Caty had always been, my best friend. There is something very bittersweet saying goodbye to a relationship that was and embracing the one that’s come… good job. I liked the characterization of the sisters here, how you show them together and then stepping apart. Also giggled at Skipper to my Barbie! Nicely done. She is a shadow, a deduction, no, a reduction, of me. She follows me. Everywhere. Stands as witness. Offers no judgment, no advice, no warning. Silent partner in the business of life. It has taken me nearly seventy years from when I first noticed her behind me, a reflection of me on the beam, to realise she has made me. That first time, unaware of her beauty, her wisdom, her strength, I stepped away, not knowing her true identity. Now, as we prepare for our next journey, I turn and embrace her. Our minds and memories mingle. Two perspectives on what has passed for our life conjoin, re-enact in a new dimension childhood fun, adolescent thrills, adult realisms, that twist and turn in our mind to show us, show me, how close we’ve always been. To show she’s always been there. I wish I’d got to know her sooner. Don’t make my mistakes. Turn around. Take a look for yourself. I found this piece intriguing, and enjoyed the flow of the language. Grace didn’t live up to her name. She fell, spilled things, and hurt herself constantly. Her mom enrolled her in gymnastics to encourage gracefulness. At the exhibition her mom watched as Grace walked the balance beam. She never tottered and mom was thrilled. Grace did flawless somersaults and cartwheels as her mom watched with glee. Next each of the girls did a twirl or two on a high bar. Mom held her breath, but Grace’s performance was perfect. Finally each girl was allowed to do a one minute, solo floor program. They started with the youngest meaning Grace was second. The girl who went first, fell out of a cartwheel, and the other girls laughed. When it was her turn, Grace fell too. Her mom saw Grace’s intentionality. Then she sat by the first girl, and put her arm around her. Grace lived up to her name, and her mom beamed with pride. I really like this. Super sweet. Nice work Charles. I especially like the use of Grace, as a the girls name, as a the literal meaning and grace in the Christian sense – you’ve weaved all these in perfectly. Thank you, I am glad you liked it. Grace is truly amazing. Making her the embodiment of grace and then bringing out the double meaning… nice. Oh, beautiful ending! Love it! I was shouting much louder than the other mothers, and they all gaped at me. I ignored them. My little girl was on the balancing beam, and that was all that mattered. She teetered for a second, but caught her balance and executed a flawless back flip. The others were whispering, and finally one woman approached. My anger dissolved to bitter tears as they hauled me away. Whoa. Didn’t see that coming. Very sad. I love it! “Who’s this?” Jamie sighed and tossed Margaret the grainy photo of a uniformed man. The house was nearly packed up, but the family insisted on going through the books before donating them. Margaret sat surrounded by a gathering of half-forgotten bookmarks, bits of paper, and photos. “Why’d you stuff this crap into books?” She tossed Margaret a photo of girls practising gymnastics. “This is Scarlet and me. She always won – I was too clumsy.” Margaret took the photo and wrote on the back. She shook her head. At her age there were too many stories and too few to remember them. After Jamie left, Margaret slipped the ephemera back into the books. Random photos and memories here and there for others to find and keep. Between the pages their shades would live on forever young. Yes, that line newbow quoted is fabulous! “People cheered loudly. Oh, and these rowdy young men in the back, they were so thrilled they whistled.” Dad couldn’t contain his pride. I silently slid into the back seat avoiding his admiring gaze. He gave me a look of exasperation that said, “You spoiled brat!” I put my earphones on to silence the sounds of his pride. I wasn’t sure what bothered me more, his inane blabbering or the unnerving titillated whistles I had heard during my swan pose. That’s the problem with Dad. He just doesn’t understand. Mom doesn’t either. She chooses to fawn over her directors rather than shelter her fawn from the unwanted gazers like a doe does. I guess, I am not a baby anymore. Doesn’t the doe chase off the growing fawn? Tonight, I see a strange look in Dad’s eyes, the look I see in my coach’s eyes. I feel dirty. I am going to hang up my leotards and take up algebra. This made me feel more and more uncomfortable as I read. Well done! Uncomfortable, yes. That’s the effect I was going for. Oh, unnerving ending, and yet so fitting in that cross from girl to woman. I’ve sat down by her for three weeks each time working up courage. Our children, her daughter and my son, take ballet lessons here. The instructor has them perform positions one, two and three. We chat. She’s a widow. I’m divorced. “I’m so glad you bring your son. We need more boys in the class” she says. I’m going to owe my son big time. Of course, who knows? He might like ballet. This is the 21st century. Even football players take ballet, right? My son does a position three into her daughter’s knee, a move that shouldn’t be possible. “Oh that’s all right they’re a little clumsy at this age” she smiles. What a smile. Now or never I decide. Forget the nerves just go, just go. No. That didn’t just happen. This one makes me laugh. Partly because I can so well identify with how nervousness often twists my words into pretzels. Love it! Love how the kids become the background, and we see the clumsiness on two levels here. And now that I look at the picture prompt again I see it is gymnastics … ah well. I don’t see why a sportsplex wouldn’t offer both gymnastics AND ballet. You’re just showing us your vast array of knowledge and breadth of experience, that’s all. Our dinner was in the oven. I watched the gymnasts balancing on the beam. An example of perfect symmetry. Both mirroring each other’s movements. I turned to check the incoming text message, and heard the audience sigh as one of the agile feet slipped, and the rest of the body followed and folded onto the mat. Her face was buried between two shaking arms, while the body convulsed with pain and shame. The trainer shook her head at the girl’s clumsiness, and nodded to the other indicating she should continue and finish the performance, alone. Seconds later, when the music stopped, the survivor jumped down to embrace her damaged friend. They held hands for the final, pitiful applause. Heads and tails. Same coin. I reread the message, which was still on my screen: I’ll be home late. Love you. How many times should you embrace your damaged partner and forgive their clumsiness? “I’m gonna fall, Lizzie!” I’d exclaim, my toes digging into the beam with all their might. “No you’re not,” she’d answer from in front of me. “Just hold on to me and I’ll get you through.” Every time she’d say that. I never fell. They tell me she’s schizophrenic. They tell me she’s better off here, with round-the-clock care in a calm environment. They tell me she needs more than I can give. I look at my older sister. She’d been my rock for so many years, always there when I needed her, always catching me when I stumbled, literally and not. I reach out and grab her shoulder, the gesture at once familiar and stabilizing. She looks at me with her deep brown eyes, terror written in them. Then a smile. She knows who I am. Dagnabbit! In my haste to post (hey, it’s hubby’s birthday and I’m supposed to be paying attention to him), I forgot to note that I am not eligible since I’m a current judge. Dearest Dragoness, could you perhaps help me out here and note that at the top of my entry? Clearly my own mental clumsiness is getting in the way of me doing anything accurately this week! Beautiful, Margaret! I feel her angst, deeper than words on the screen. Way to go! Thanks so much, Tamara! Your words buoy me so much. Very touching with some deep themes (for the characters and society). Lovely. Thank you, Mark – I appreciate your kind words. Everything so perfectly set up that 5th paragraph to pull not one but two powerful punches… heart rending and uplifting. Then you brought it back around with a role reversal… nice. Thank you, Todd. I am so grateful for the wonderful feedback people give here. Olga was the shining star of the gymnasium. Loose-limbed, fearless and dainty, she floated over the beam as though she’d been born there. The prima ballerina of the Kirov itself couldn’t have been more graceful. The other girls were clumsy workhorses in comparison. Olga was a coach’s dream. She’d win an Olympic gold, there was no doubt. Mother Russia would be proud of her. I was already proud of her. Olga, my beautiful girl. I alone knew the sickly, weak mite she’d been. I remembered nights filled with coughing, blood-stained pillows come morning. I saw the ‘goodbye’ in my four-year-old’s eyes. What was I supposed to do? Just accept it? Applause, grudging but appreciative, rippled across the gym. A perfect dismount from Olga. As always. She flashed me a smile. I waved. So I’d sold my soul to get her healthy, what of it? My girl would be Olympic Champion. It was a fair deal. I loved the plaited hairstyle, reminded me of when my mother plaited my hair so tight I cried out in pain and she would jab a part of my body with her bony fingers whispering “here’s something to cry for”. The purple bruises like battle scars would stay for a few days but longer in my heart. She’d tell everyone that I was so clumsy I could fall over nothing. Her friends would laugh and I would smile shyly, promising myself I would try to be more graceful. I found the old sepia photograph in a portmanteau, tucked behind the ripped lining. I hoped my mother had put it in a safe place to remind her of me, balancing on that beam. Sliding it back, I clicked shut the case and put it in the pile to go to the local charity shop. Knowing my mother had never loved or cared for me was hard enough without reminders. The Beam and The Gauze. Jane blinked to clear the pain and the wet from her eyes. You mustn’t cry, you mustn’t cry. She picked herself up, rubbing her sore knee, felt the stickiness of smeared blood on her fingers. It was darker now. She’d followed Annette as instructed along the beam, straight, and through the gauze. “Annette?” she whispered hopefully. Jane peered through the murky light and discovered she was no longer in the studio. She was also not alone. A ring of distant, sad faces stared back at her. Girls, some in tutus, some in costume – pigs, swans, grinning reptiles; some were older – women. All lost. A voice at her ear. 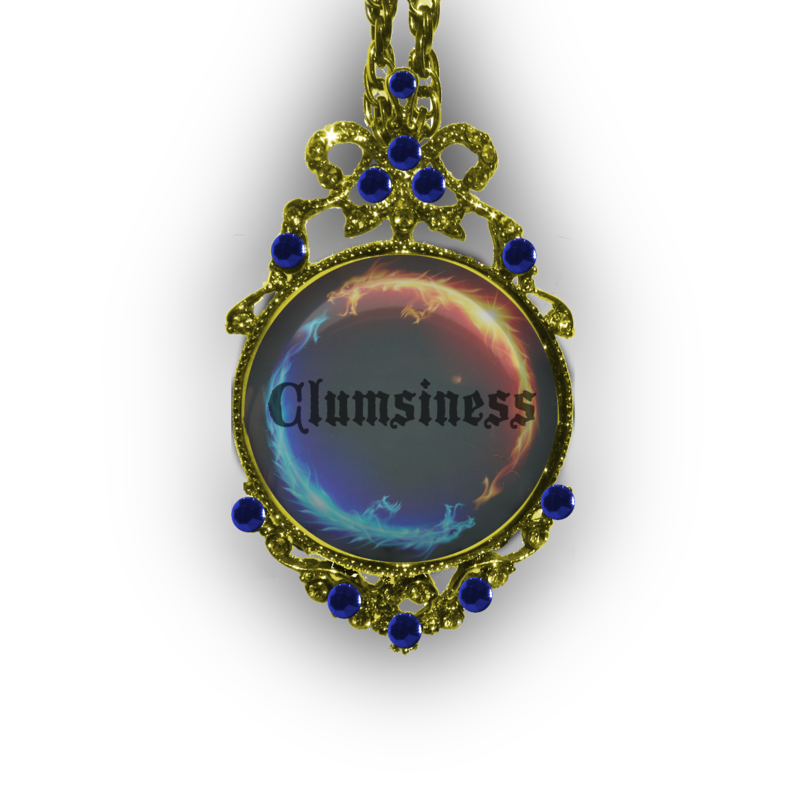 “You’ve been clumsy,” crackled the crone. Cherry stepped into the deserted gallery and paused. The silence was heavy, expectant, like the moment before the tape clicked in, everyone waiting to see what she could do. Hopefully, no-one was watching her now. With a perfect dismount, she cleared the last alarm beam and took the glass cutters from her belt. Inside the case, the diamonds sparkled like tear filled eyes. Great transitional storytelling. Loved the ending. Nicely done. Oh, a great visual of her dancing through the red laser beams – I can so see that! Nice twist. They are here again, pitting themselves against the wooden balancing beam, toes curled around the edges, soles talced to save slippage; seeking balance amidst the sway and subtle adjust, as they move forward, step by slow, straight step. Might as well label it their stumbling block after last time. Kelly mutters, “Right foot forward,” under her breath, knowing the judges cannot hear her. “Horizontal arms,” she prompts, maintaining her centre. “Nearly there.” They are their team, two together; if Hannah fails, their preparation will be wasted. “Remember the splinters towards the end. That was last time’s problem,” Kelly whispers. She remembers Hannah’s swan dive off the side; the months it took her to recover from the break caused by the shards of wood, which broke her leg as she landed awkwardly in the fall from bar to mat. They called her clumsy but Kelly knows the truth. Together they will show them all and Hannah will have her confidence back. Melissa always wanted whatever her big sister had. When Grace won a goldfish at the state fair, Melissa cried until she got one. When Grace started ballet lessons, Melissa tagged along, even though she invariably would tumble from the balance beam. When Grace took tennis lessons, Melissa whacked balls off the garage door for hours on end. When Grace got a cell phone for her birthday, Melissa fashioned one from a single-serving cereal box and lounged on her bed, gabbing and twirling her hair around her finger. When Grace earned her driver’s license, Melissa borrowed the neighbor’s car and wrapped it around a tree. When Grace began dating Ryan, the most popular senior in school, Melissa offered the boy her virginity. Wow! Holy smokes, I really did not see that one coming. I think the fact that you took an ordinary situation that we all know the outcome to and blew it out of the water added to the sucker punch at the end. Well done! Thank you. Really, I can’t help myself. I seem to NEED to concoct what I call a “Sixth Sense” ending. Goodness gracious, creepy ending! I agree with Jess – so powerful b/c what preceded it was so familiar to many of us. I didn’t know it til I was 19, but I’d spent my whole life with a time bomb ticking away inside my skull. Genetics and experience conspired to turn my own brain against me and and one mild April afternoon, they must have succeeded because I found myself locked in a ward. The doctors are always trying to explain what happened. They prattle on about the chemicals and hormones that dance in and out of brain cells, how their movements and numbers determine our reality. According to the white coats, the dancers in my head can’t stick to the choreographed routine. They stumble clumsily down paths they shouldn’t, leaving me in a haze of highs and lows, unable to find any balance. The medicine will get them back in line, the doctors promise. All I have to do is swallow. As the pills trip down my throat I wonder if they’ll work. Or if I even want them to. Bipolar? ADD? Excellent metaphor. Liked “prattle”… Loved last line. Very unique take on the prompt. There is a lot there in 159 words. LOVE this, seeing brain chemistry as a dance. Beautifully expressed. Left foot, right foot, keep the arms loose. Mama wants a win; papa wants a smile. All I want is ice-cream. Swing foot forward, swing foot backward, flip and land. All I hear is “Repeat”. Left foot, right foot, keep the heels up. I want to grow tall but mama prays I don’t. He’s taller than I am. What happens when we kiss? Left foot, right foot, try not to hit her. He likes her because she’s tall. Well, she wins prizes too. No one knows her like I do. She drools, she snores, and she picks her nose when he’s not looking. I draw. I sing. I only come here because of mama. She does nothing but dance and land well. Left foot, right foot, I haven’t fallen today. She swings her arm, I dodge and… Oh No! Not again. I only fall when I’m behind her. I’m always behind her. I have to find a new friend. I liked the voice in this, the rhythmic repetitions of course bringing to mind a balance beam routine, but also off-setting the emotional components well. Arnold couldn’t contain his excitement as his beautiful girl was going to dance for the school – on that slender bar too. Somehow the clumsy gene had skipped a generation. His mother and father were famous for having accidents at the drop of a comic hat. His grandfather had fallen over every kerb in the district – although this may not have been clumsiness. Arnold himself had been to A&E so often there was a book on when he’d be back. But now his beautiful daughter was a star on the bar; balanced, powerful, poised. She won the competition with aplomb, then adrenaline took over as Arnold rushed forward, tripping over the cable, which pulled down the cabinets, which crashed into the gym floor gouging deep into the timber. A splinter thrust up through his shoe sending red spouts into the air as his expletives shocked the audience. Bwah ha ha, love the ending! It requires total concentration. I don’t understand how it is possible, but it is my favorite event. I am a gymnast and the balance beam is my best friend. In real life, I fall off my chair while eating dinner. I run into door frames that magically appear out of thin air when I turn around. I trip over imaginary carpet wrinkles when I walk across perfectly smooth floors. People call me clumsy. They laugh at me and my heart breaks. Then I step on the balance beam and everything changes. Now, here I am warming up for the state championships. I know I can win. I always win. Every time I step on the balance beam, I am graceful. I am coordinated. I am perfect. Today I will be a champion. No one will laugh. My heart will burst with pride, not pain. A grey-haired man named Faraday sits on the roof, unpacking a sniper rifle. Underneath was the national gymnastics meet, and coming up next was the daughter of Mr Carson. Carson had threatened Faraday’s boss, so Carson’s beloved daughter was to never perform gymnastics again, making Carson mind his manners. Faraday readied his non-scoped rifle. ‘Farsighted’ Faraday was what the underworld called him; anybody who was more than ten feet away from Faraday could die if he wished it. Faraday points his weapon through the hole in a ceiling panel towards the beam, where Carson’s daughter was in a duo with another girl. “This is my hardest shot yet,” Faraday thinks as the girls flipped about like they knew he was there. Faraday pulls the trigger, the bullet flying soundlessly. The bullet strikes, sending the other girl to the mat as Carson’s daughter screams out of terror rather than pain. “Bloody hell!” Faraday snaps under his breath. My mother never lived vicariously through me; rather, I persisted because the world didn’t need to know she of the multiple gold medals had had so graceless a child. The press nicknamed my mother Shiva the Destroyer, because records and opponents disintegrated whenever she took to an apparatus. By the time I was the age where she’d won her first medal, I had fallen off more balance beams and parallel bars to discourage even MaryLou Retton. Mother never offered any advice. She knew in gymnastics, as in life, some falls I had to take so I could learn how to get up, dust myself off, and try again. Still, this most recent fall was too much. I’ll never get up from this, I thought. I covered the mirrors. I rent my clothing. I sat shiva. When I stood again, it was with grace, her grace at last. A nice rhythm and voice, although I have to admit I don’t know what it means to sit shiva (I can infer, but that’s a cool phrase.). Ain’t too long back that Sunday afternoon’d find me plopped on the couch, watchin’ the NASCAR race. I ain’t never been an athlete. In high school, I’s such a klutz I’d trip over my own cleats. Football’s more fun watching from the bleachers. Besides, I can barely walk a straight line sober, let alone after all the beers I drank as a teen. And gymnastics? My daddy would’a whomped me if I wore a leotard. So how could a clumsy fool like me be in this old gym on a Sunday afternoon, watching my little gymnast about to perform? 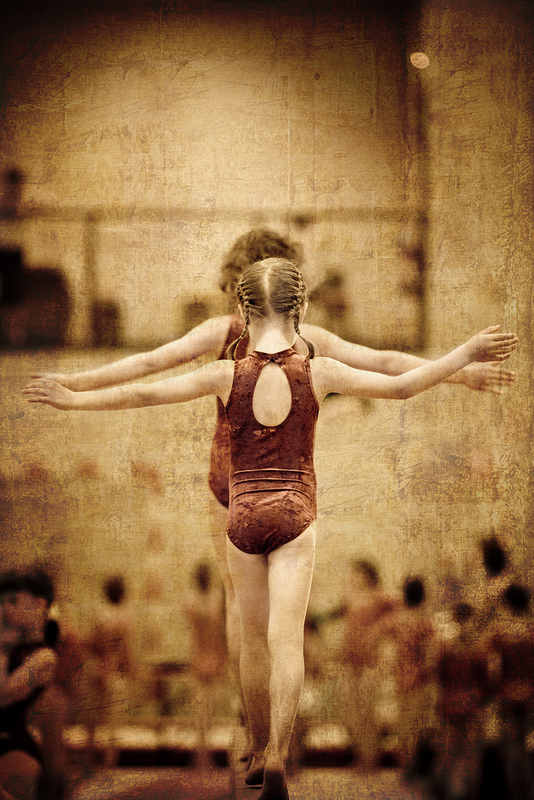 She steps out onto the balance beam, the picture of grace. The blurry camcorder image refocuses as I zoom in. Her hand slips off the beam. She lands flat on her back, bruising her pride. The other parents gasp, and I feel guilty for chuckling. Kelsey brought the razor across her cheek, slid it around her bottom lip and finished off at the tip of her chin. Warm blood swarmed from the cut and dripped onto the ceramic sink. Her hands shook, making the line rough, clumsy. Imperfect. She looked in the mirror. No tears this time. Just sunken eyes, protruding cheek bones. Behind her, she could see her trophy and medal case. Local and state competitions, one national, two international. She was perfect, once. In gymnastics, they say facials are everything. Be smiling, always smiling. Connect with your audience. Sell your routine to the judges. Slip on the beam, miss a flip, smile. Keep smiling. Kelsey smiled into the mirror now. Blood still flowed from the open wound, into her teeth, on her tongue. And she kept smiling, as she reverted back to the arena full of clapping strangers and awed judges. Her coach’s subtle thumbs up; her parents weeping. The clarity and plausibility of this story make it very disturbing. Indeed, a powerful story in so few words. And it captures the pressures of that tough sport so well. Deeply disturbing to me, but well-written. Years of tortuous work, inevitable injuries, a life put on hold; no girl could hope to excel until she fell hard and often. It was Jane and Sam’s turn on the balance beam, a device resembling a medieval torture device more than an athletic apparatus. Each girl was making tentative steps until the big moment, a dismount flip. “What do think, spin and a massive fall, maybe lights out?” Etarlám smiled at Mórrígan. The two fairies were up in the rafters, wings fluttering wildly as they watched the young girls below tottering on the beam. The applause was deafening when unexpectedly Sam hit the pad upright, a perfect 10. Thanks for the comment, it is very much appreciated! Indeed, the fair Little Ones are often up to unseen mischief! An unexpected and creative take on the prompt. Love it! Thanks Taryn. See above as I really thought your path on the prompt was thought-provoking and the use of “balance” was so appropriate. I was going to write heavy but with all that is in the news decided to go Fairy Lite this time 🙂 . Oh, I love the idea of fairies wreaking havoc. Nice twist. Suzie lands with barely a whisper. She is the epitome of control. She has tamed her normally wild hair into a tight bun. I can almost hear it straining to be unleashed. She glides away, and suddenly I’m next. They never should have let me into gymnastics. One look is enough to confirm that grace is not my strong suit. Thankfully teachers can’t say no anymore, they are supposed to encourage children’s delusions until the bitter end. The only thing straining on me is the spandex. It looks painted on. I stare at my rival, the balance beam. It stands between me and Suzie. I’m determined to conquer it. I run at it with the speed of an asthmatic sloth. I catapult off the springboard, and for a moment her face lights up. Then I land with a high pitched squeak, legs akimbo. The balance beam has won this round. I won’t need to worry about girls for a while. Oops, could you please change ‘staring’ to ‘straining’ oh dragony one. Seems like The Fiery Dragoness has been called more than usual this week. Yeouch! Painfully funny (hee hee). Love the phrase asthmatic sloth! It started with inter-galaxy trip to a friend who was bringing the God-Jesus story to aborigines. Aborigines closer to creatures than beings told human myths. Once I believed. I had been a priest but first contact changed me and a lot of others. Drive malfunctions landed us on an unknown. Now, I walked hands raised in a line of captives. Our captors almost human in a clumsy haphazard way didn’t speak any known language. I prayed in remembered comfort. That night they turned almost nothing into a shelter. Our captors pulled us inside. One quieter than others took out a kit. Squeezing a root dug earlier over a shell to catch the juice, it was set on the side. Then a green-brown morsel was unwrapped and set on its wrapping next to the juice. In a gurgle-squawk tongue He spoke and I understood. Excited howls from hounds and men echoed through the dense forest. Anna trembled and sobbed as she ran. “Faster Anna!” her sister Caroline screamed from somewhere ahead. Anna the slow one, Anna the clumsy one. Always falling, always bruised. She feared what lay ahead as much as what followed close behind. But Caroline was right – crossing the ravine was their only chance. So Anna tripped and stumbled her way through the brush. She emerged ragged and bloody to discover Caroline already traversing the thin tree that had bridged the ravine years ago. “You can do it, Anna!” Caroline shouted over her shoulder whilst navigating small branches along the trunk no thicker than her leg. Many times they had come here. Caroline always crossed over; Anna never dared. Caroline reached the other side. “Now Anna! Hurry!” she cried. With no hope at all, Anna wiped her tears, extended her arms, and stepped onto the wobbly bridge. I could easily read a story containing this sequence. This small portion of a larger story is intriguing. Nicely done – I enjoyed the balance beam as nature, and agree that I am wondering what the rest of the story is. Interesting how you focused on the multiple arms in the picture. I loved the commentary. Lorraine crouched on the fire escape. Normally, she was nimble and sure-footed but heights made her nervous and clumsy. She forced herself to look down. Searching the shadows at the base of the adjacent building; she met her mother’s steady gaze. Beside her mother stood the father she had met only hours before. The ice in his green eyes made her shiver, but he would fight. Lorraine smiled. Slowly, she climbed onto the railing and straightened. Her bare toes gripped the cold steel; she leaned forward–arms outstretched for balance–and flung herself towards the building. Lorraine tucked her head and pulled in her arms and legs. Her shoulder banged against the roof and then she was on her back in the loose gravel. Flashing the all clear, she checked her weapons before starting towards the heavy steel door. Sarah circled her shoulders. She interlaced the fingers of her four hands behind her back and stretched the arms backwards. Sarah stepped forward onto a beam carved to depict Shiva’s corpse. She started with cart wheel to get a feel for the beam. Part way through the cart wheel, Sarah glanced at that mouth and fell. The mouth began to grow. The lips peeled back exposing pointed, white teeth. Sarah clambered quickly back onto the beam. Her only hope was for Shiva to calm Kali. Kali’s lips brushed against Sarah. Hot breath steamed over her. She turned her back to Kali and meticulously completed her routine. Sarah stood frozen in her finishing pose until Kali’s breath receded. I dropped a word accidentally. Could effigy be added to this sentence please? At two years, all applicants proved their worth before Kali’s effigy. What an innovative take on the prompt.